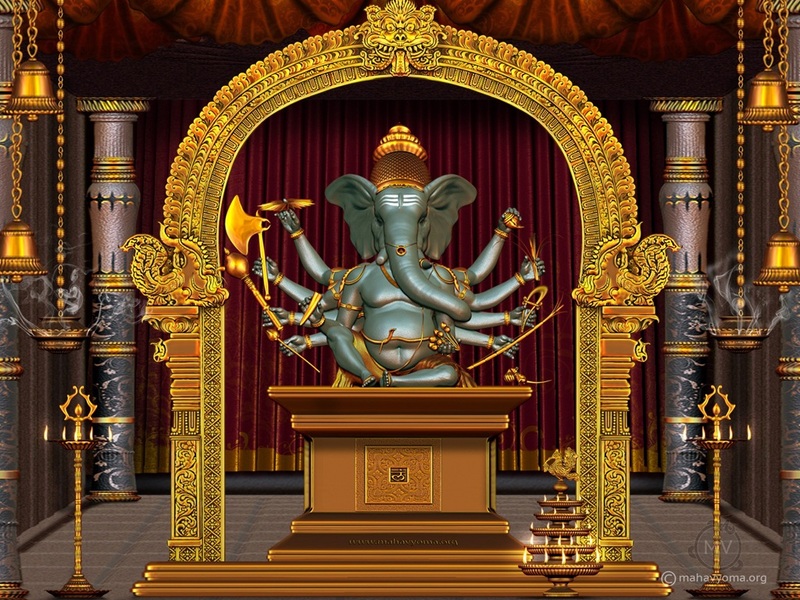 This Ganapati form appears with eight hands. He holds Shankha and Chakra on both left and right upper hand. The other hands hold his broken tusk and Modaka, noose and elephant goad, flower arrow, sugarcane and an axe. Vigna Ganapati’s trunk is curved with bouquet of flowers. The lord wear plenty of ornaments and his complexion is of golden hue.